repairer for leading industry insurance companies. Napier Collision Repair Centre is a member of the Collision Repair Association and an authorised repairer for leading industry insurance companies. Free late model courtesy cars are available to get you back on the road while your vehicle is restored to it’s former glory. Our friendly team of panelbeaters provide a high standard service and quality workmanship, ensuring your car returns to you in its former glory. 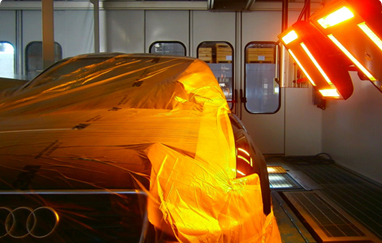 The panel and paint experts at Napier Collision Repair Centre use specialised car spray painting equipment for a flawless finish on the surface of your car. Get your car restored like new. Accidents happen! 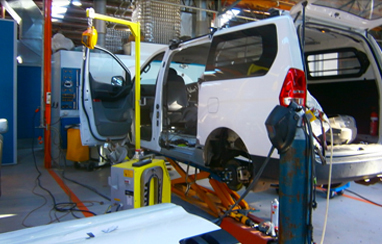 Napier Collision Repair Centre are here to make the process as hassle free as possible. Authorised repairers for all major insurance companies, we’ll get you back on the road in no time. 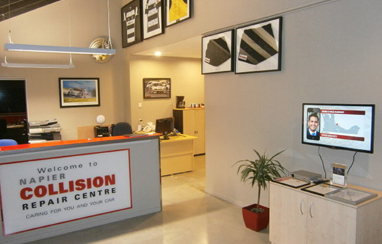 © 2015 – 2018 Napier Collision Repair Centre.